Esther was my 1st cousin 2x removed. Daughter of my great grandfather Benjamin Lipshitz brother Solomon Simon. She was one of five children born to Simon and Annie. She was first married to Samuel Joffe on 28 Dec 1920 but by the 1925 census, she was back home with her parents with her son Charles born in 1901, most likely named after her brother Charles. Sometime between 1925 and 1930, Esther married Daniel Tonis. She was listed with him on the 1930 census while her son remained with her parent’s and continued to up until the 1940 census then 19. Esther died in 1943 at the age of 43. She is buried at Beth David Cemetery, in Elmont, New York. I have written quite extensively on the Lipshitz/Lifshitz and all variants of spelling used by this family. From Russia, he arrived on the 5 October 1888 at about 15 years old. Simon married Anne Dinofsky on 24 November 1895, New York, New York. They were the parents of five children, Esther Estelle, who he is sharing this post with, Moses, Rachel, Doris, and Charles. When I think about the fact that Esther Estelle died in 1943 at the age of 43, so young, I am comforted to know that Simon preceded his daughter in death and was spared this sorrow. Simon was the brother of my great grandfather Benjamin Lipshitz. So much of their story was lost of so long. It is an honor to be able to know this family through the records that have been discovered, and remember them on the anniversary of their passing. ©2019, copyright, Sharon Haimowitz – Civitano. All rights reserved. Those early years right after the marriage produced the only 2 children I have been able to find for Hyman and Mollie. Son Joseph was born in Dec. 1894 followed by Jacob in May 1898. A quick google search also revealed this building was built in 1900. It seems they were one of the very first residents in this new building of its time. By 1910, remaining in Manhattan, the family had relocated to 550 West 144th St. Another google search on this location revealed it was built in 1910. I found it interesting, a move to another newly built building. Hyman (42) and no longer working at the foundry and was now working in manufacturing/clothing. Mollie (38) with the notation that she had immigrated in 1889, the same year as Hyman, now naturalized. I have been unable to find any record for this. Joseph (15) and Jacob (11) had nothing else noted. Also by 1910 their last name spelled Cohen changed to Cohn on all census and death records found. Citing this Record”New York, New York City Municipal Deaths, 1795-1949,” database, FamilySearch(https://familysearch.org/ark:/61903/1:1:2W1R-YLW : 10 February 2018), Mollie Cohn, 10 Mar 1922; citing Death, Manhattan, New York, New York, United States, New York Municipal Archives, New York; FHL microfilm 2,028,040. Three years after the death of Mollie, 1925, Hyman Cohn (57) was now retired. Joe (30) still home with his father was now working in ‘loans’. Jacob had moved out. Hyman still employed a ‘domestic servant; her name was Methilde Ramberg (27) from Hungry. They were still at the 620 West 149th St address. A short five years later it appears that the partnership between Hyman and his sons had dissolved, not only had Hyman retired but now Joseph was in entirely different field, loans, but what happened to Jacob who was listed as John. With Cohn/Cohen an extremely common name it was impossible for me to pin down anything concrete for him however I did find 1 record that matched his age perfectly. Listed on the 1925 census for the Central Islip State Hospital there was a John Cohen listed, notes said born New York City, N.Y., white, male, 26, day laborer, nationality US and citizen. Could this be our Jacob who had been listed as John on the 1920 census? The spelling of Cohn had the added ‘e’ which was the original spelling. I can not be sure with any certainty. Central Islip was a psychiatric hospital that opened in 1899 and closed in 1996. I can find no identifying information to locate Joseph or Jacob/John from this point on in my research. There are simply to many records that could be either of them. However I was able to locate Hyman (70) in the 1940 census. He was now living at the Jewish Sanitarium for Chronic Disease at 830 E. 49th Street, Brooklyn, New York. He was listed simply as widower. Hyman would live another 3 years before passing away on the 29th of October, 1943. Both Mollie and Hyman are buried at Mt Carmel Cemetery, section 1 at 83 -45 Cypress Hills Street, Glendale. I made a phone call to the cemetery to request photo’s and learned they are both interred in a family crypt with a contact name of Abraham Males. Who is Abraham? 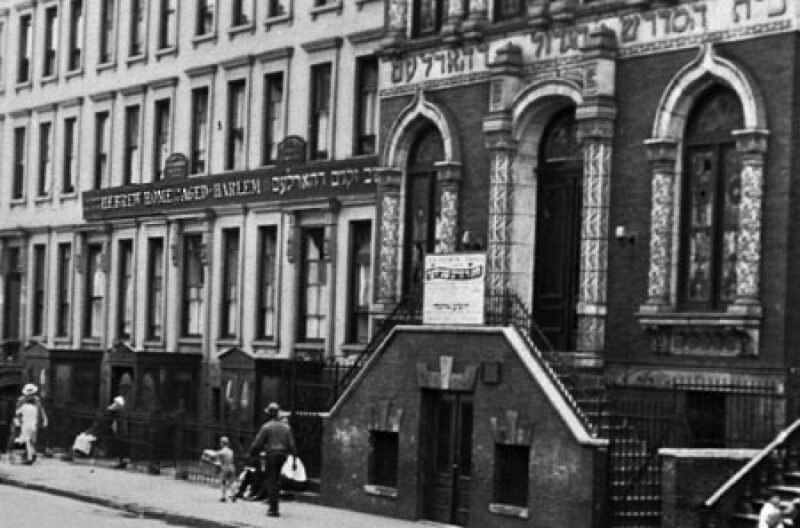 The burial society was Unity Synagogue. Along with them in the crypt is an Esther (d. 1945) Jack (d. 1952) Joseph (d. 1962) Samuel (unknown death date) and Sydney (d. 1953). I did locate a Jacob Cohn (with the e) buried in section 1 as well, not in the crypt, but with the same burial society with a death year of 1948. This post has been updated and changed from its original posting. In my last post I wrote about Fanny Lifshitz, daughter of David and Yetta. At the suggestion of Amy Cohen of The Brotmanblog: A Family Journey https://brotmanblog.com/ I created a simple chart to try and bring some clarity to my thoughts and help with some of the confusion. What in the world had I been trying to say? Simply, I believe that Fanny Lifshitz (daughter of David and Yetta) may have married a cousin named Israel Lifshitz. All we know about him from the death certificate shared in the previous post is that his father was named Benjamin Lifshitz and his mother Eva. This chart shows the children of David Lifshitz and Chai Palley, along with the grandchildren. Solomon is shown alone as his mothers name is different. Solomon is connected to this family in some way. Benjamin was living with him in 1913 prior to getting married to Kate Rosen. I contacted Debbie, another DNA found cousin who I have been corresponding with for a few years now. She has had Fanny and Israel on her family tree since we first connected. However, we had no idea how we tied in together. Up until now, we simply had a 3/4 cousin match that we believed was with our Lipshitz name and no other connecting information. Something clicked after the last posting – Jane realized if ‘we’ had this close DNA match and I had a close DNA match with Debbie and her mother Ann, granddaughter of Fanny, then Jane would have a match with Debbie and Ann as well. Of course, why hadn’t I thought of that already – well actually I had looked and saw the shared matches but it had not clicked. We both took a look and it all clicked. Jane, Judy, Debbie, Ann and myself all have very close cousin matches. Jane had also shared with me when we first began this research that she believed one of Fanny’s daughters had married a Puchkoff. Infact it was one of Fanny’s daughter’s who married George Puchkoff – daughter Esther. That is an interesting last name and one not easily forgotten, again helping to tie this all together. I feel very comfortable with the connection of Fanny as a sibling to Isaac/Ike, Simon, and my great grandfather Benjamin. Photo Courtesy of Debbie ~ Thank you so much for allowing me to share this fantastic photo of Fanny. While fresh, I wanted to continue with the discovery of the siblings of Benjamin Lipshitz. In my last post I wrote about brother Simon Lifshitz and his wife Annie Dinofsky. Still left to research is Mollie, who married to Hyman Cohen, another brother named Samuel along with a sister named Rachel/Rae. For a while now, I have been stumped on this sister named Fanny which has totally thrown a wrench in my research. In fact I am still stumped on a few things and this post is a way to sort through the information I have. If you have been following this family you may remember that recently I had connected through a DNA match with a 3/4th cousin on Ancestry named Jane. That led to a internet intro to her 1st cousin Judy. 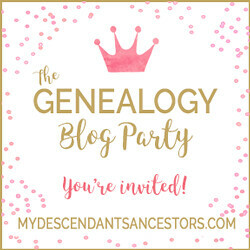 From this match we realized our connection was through our shared Lipschitz/Lifschitz family and from there we were able to begin to round out the family/siblings for my lone ancestor, my great grandfather Benjamin Lipschitz. I will be concentrating on his sister Fanny in this post. I found a record for her on familysearch.org. I immediately noticed the names of her parents, which matched my Benjamin’s parents and this was my first clue I was on the right track. But the age difference between Benjamin and Fanny raised a flag. Looking at Fannie’s and Benjamin’s records I was able to see that there was a almost 20 year gap in there ages. Fanny was born 1867 and Benjamin in 1887 ( however I do have records placing his birth year as far back as 1883) Not impossible to be siblings with that age difference but it raised the question. – was the birth year be off? Had they made an error listing Fanny’s parents? If it was correct, could Benjamin and Fanny be siblings? It appeared so from the names of the parents as listed. Fanny was a Lipshitz before marriage and had married a Lipshitz. If the document was right Fanny was clearly a Lipshitz when she married. My next thought was how and were and could Israel and Fanny be related? cousins? I remembered I had a death certificate for an Israel Lipschitz from some research I had been working on before? Could this be the same person? I got that record out and after finding the record for Fanny on familysearch.org, I was able to locate a death record on ancestry.com and sent away for her death certificate. Once received I was able to connect them both together. Below are the death records for Fanny and Israel. Now the question really was were the parents of Israel (1866) and Fanny (1867) ; Benjamin Lifshitz and David Lipshitz brothers making them cousins? I don’t have that answer. The age for Israel seems to confirm that the age recorded for Fanny is correct which leaves the huge difference in ages between my Benjamin and his presumed sister. (Just to confirm, my DNA connected cousin Jane did confirm a sibling with the name of Fanny (however she was not aware of Benjamin). I had shared this information with Jane and Judy (their parents both brothers, sons of Ike Lifshitz) I shared photos of the children of Israel and Fanny and all the information I had but Jane was sure this was not her family or had no knowledge of them. Let me back up just a moment: I want to add one more person into the information and his name is Solomon Lifshitz (b. abt 1867/73 d. 1935) Solomon is important because he lived at the 1268 Park Ave NYC address that Benjamin lived at with Solomon and family at the time Benjamin married Kate Rosen. From Solomon’s death cert. his parents are recorded as David Lipshitz and Rachel Rifkn not a Pallay I have never been sure of the connection between Benjamin and Solomon, was he his uncle? a cousin? a brother? Many turns and twists with this research. Jane had said/thought there was a sibling named Rae. What I did find for the name Rae was a daughter named Rachel aka Rae, of Solomon/Simon and his wife Anna Dinofsky, who I wrote about in my past post. Rae married Samuel Charles Aaronson on 16 Aug. 1916. The questions for me at this point are: was there a sister named Rachel/Rae? or was she the daughter of Simon and Anna? Was this daughter named after a sister? The name Rachel certainly ties in with the family. Especially taking into account that on Solomon’s death certificate his mother’s name was Rachel Rifkin. The question continues with was this a daughter named after an aunt or the grandmother? Back to this stretch of birth years and parent names. Could Solomon’s (1867) father David Lipshitz have lost (death) his wife Rachel Rifkin, then David remarries our Pallay going on to have the other children? This could explain the large age differences. If so that could make Solomon a sibling, but nothing is proven. I feel like I am left with more questions than answers and this is getting very confusing. Going back to Ida Lipshitz nee Palley, mother of this clan. She was alive, and on the marriage invitation for son Isaac/Ike. We know that her husband David had passed away, when and where remains unknown. On the 1915 census record Ida (70) was still alive and living with Israel (50) and her daughter Fanny (50) at 59 E. 102nd St. NYC, however she was listed as ‘sister in law’ to Israel (mislabeled?) If Fanny and Israel were cousin’s she was Israel’s mother in law and also the wife of his Uncle David. That is not sorted out yet. In fact if Ida was David’s 2nd wife and Fanny was the daughter of his 1st wife Rachel Rifkin then what would that make Ida? Would that be recorded as sister in law, I feel that is an error. I have not located a death record for Ida either. That is a key piece of info that I hope to locate. The story continues with this Israel Lifshitz and Fanny Lipshitz connection. Their family connects with me through the information and connection with Debbie and the family connects with me through the information and connection with Jane. In addition I connect via DNA with a few others falling off of the descendants of Israel and Fanny. I feel very confident in saying at this point that this is the Fanny Lipshitz daughter of David and Yetta Palley, aka Ida, Gittel and Edith; sister to Isaac/Ike, Solomon/Simon and Benjamin….I still need to continue to gather information on the others to connect this whole family together. This post and all these thoughts have had my head spinning for the last 2/3 weeks. I hope there was so clarity and not a confusing mess of jumbled thoughts. In my next post I will continue with their story and hope to sort some of the questions out. I would love to hear from you, your thoughts, ideas, and direction.